Shopping for Star Wars Stands? These white, round stands fit snugly onto your figures' feet. Give your figures the support they deserve! 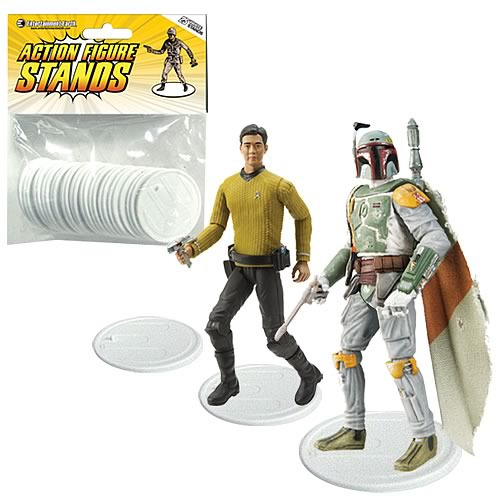 You're gonna love these white action figure stands! Extremely durable and handsome, these round platforms look great. Each measures 2 1/8-inches in diameter and features a peg that fits snugly into your figure's foot. Buy this 25-pack today and give your characters all the support they need and merit! Action figures sold separately.